Florian Gardens, Off Coronation Square, Southcote, RG30 3QG. 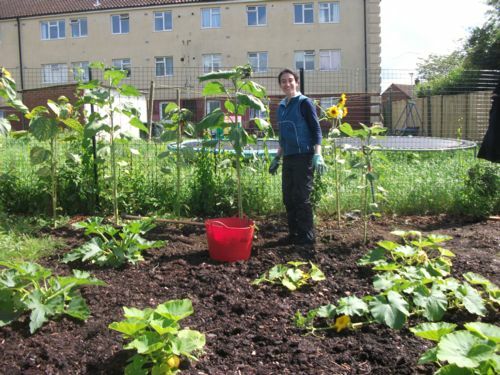 A Reading GrowAllot project from food4families, in partnership with the Big Lottery. 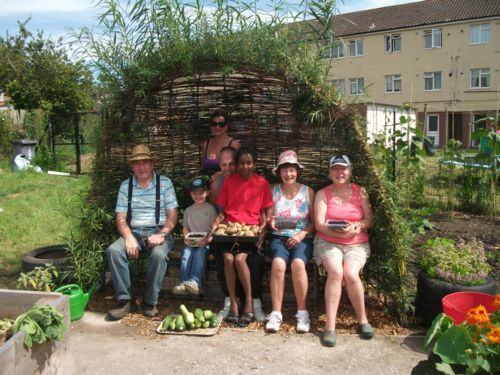 Local families have transformed a piece of derelict land at Florian Gardens, Southcote into a thriving allotment growing fresh, healthy fruit and vegetables. We grow an amazing range of crops - from your usual carrots, onions and potatoes to the more exotic melons and Patty Pan squash - there is something for everyone to enjoy. In our polytunnel we grow lovely tasty tomatoes, cucumbers, chillis and aubergines as well as raising all our own plants from seed in the spring. Come along to a session at the allotment and learn all about growing! have their own key for the pedestrian gate and tool shed so they can access the site at any time during opening hours . be able to have a go at sowing, planting and maintaining a variety of vegetables, fruit and flowers. be able to share in the harvest of vegetables, fruit and flowers. be welcome to attend sessions run by the garden tutor on how to grow food. be expected to get involved in the management and maintenance of the site by attending the AGM and workdays. The preparation of Southcote GrowAllot meant clearing the land, creating the raised beds which add definition and deciding on which plants will be beneficial to the community. 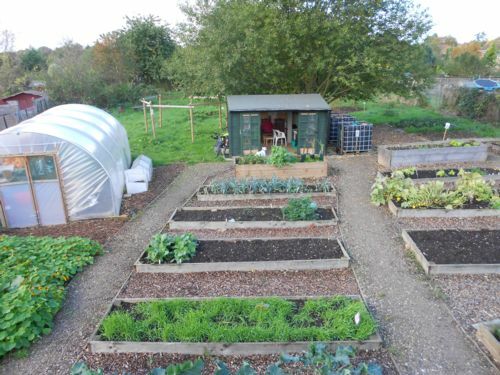 Vegetables and plants growing in the raised beds along with cultivation in the Polytunnel. 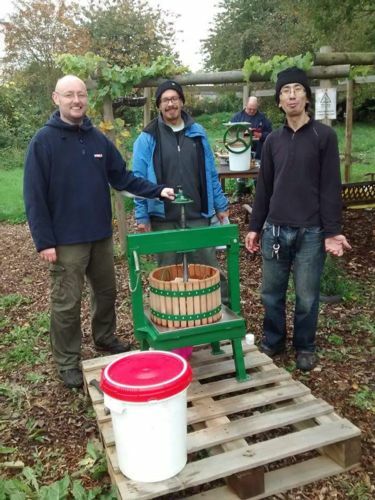 An Apple Juicer in action. Priority will be given to those residents without access to a garden of their own. For more information please contact us.